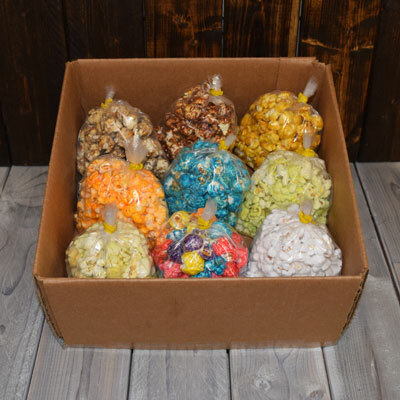 Our Popcorn Sampler is a great way to try our popcorn before ordering! This is great if you are planning a popcorn bar and are unsure which flavors you'd like. Choose 9 flavors, with each flavor bag containing approximately 1.25 cups of popcorn. Please Note: This sample pack is only available online and not in our store. Samples may come loose in a larger box if ordering with other bags. Select 9 flavors to fill your sampler.